People who monitor their blood pressure levels on a regular basis at home can help to control hypertension, or high blood pressure, and possibly lower the health risks associated with this medical condition. Your doctor may recommend that you also monitor other vital signs on a regular basis to get a complete picture of your daily cardiovascular activity. At Walgreens, we can help you follow your doctor's orders with ease by providing you with a high quality blood pressure monitor with pulse functionality. Pulse Rate vs Pulse Oximetry: What's the Difference? There are two types of vital sign monitoring that have the word "pulse" in their names: pulse rate and pulse oximetry. Pulse rate is used to monitor the activity of the heart and involves counting how many times the heart beats per minute. A person's pulse rate can be checked by detecting the pulsation of blood as it flows through the blood vessels at places on the body called pulse points. Many blood pressure monitors have the ability to perform this function while providing a blood pressure reading and display both the pulse rate and the blood pressure rate on their digital screens. 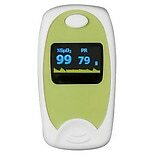 Pulse oximetry is a measure of how much oxygen is in a person's blood in order to assess the efficiency of their breathing. Measurements are taken with a device worn on the finger. 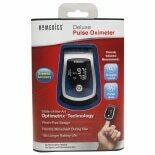 The device or probe uses a light detector to sense how much oxygen is present in a blood substance called hemoglobin. Because blood pressure monitor cuffs are worn on the upper arm, a separate attachment is required to take pulse oximetry readings at the finger. Very few blood pressure monitors have this as a standard feature. 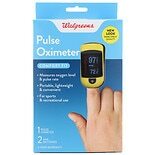 However, you can find standalone pulse oximeters for home use with ease at Walgreens. 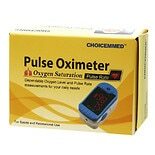 Once you have determined whether your doctor has recommended a blood pressure monitor with a pulse rate monitor or a pulse oximeter, you're ready to begin shopping for the ideal device to meet your needs. One important thing to consider is the size of the cuff included with the unit. Some units have just one cuff, while others provide different sizes. If you have a larger arm, you may want to consider one of the latter models. Some blood pressure monitors have enhanced capabilities like memory functions to save your readings or voice features that will speak your readings in case you have difficulty seeing the screen.